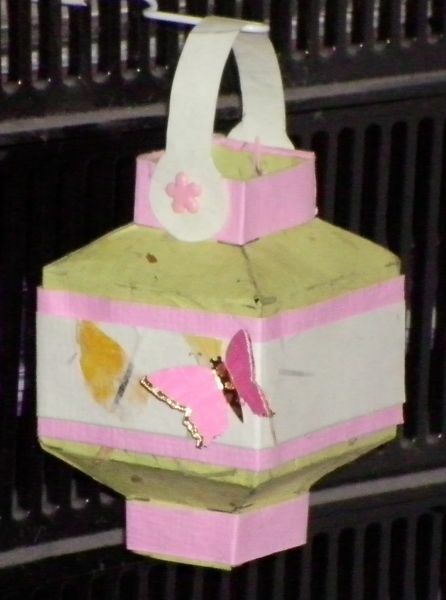 This cheerful decorative lantern stands just under 3 inches high excluding the handle. I made the butterfly by punching one butterfly from pink scrapbook paper and the other from metallic gold scrapbook paper. I cut the body from the gold butterfly and layered it on top of the pink butterfly, then I layered the gold wings under the pink butterfly wings, offsetting them by about 1/16 inch.